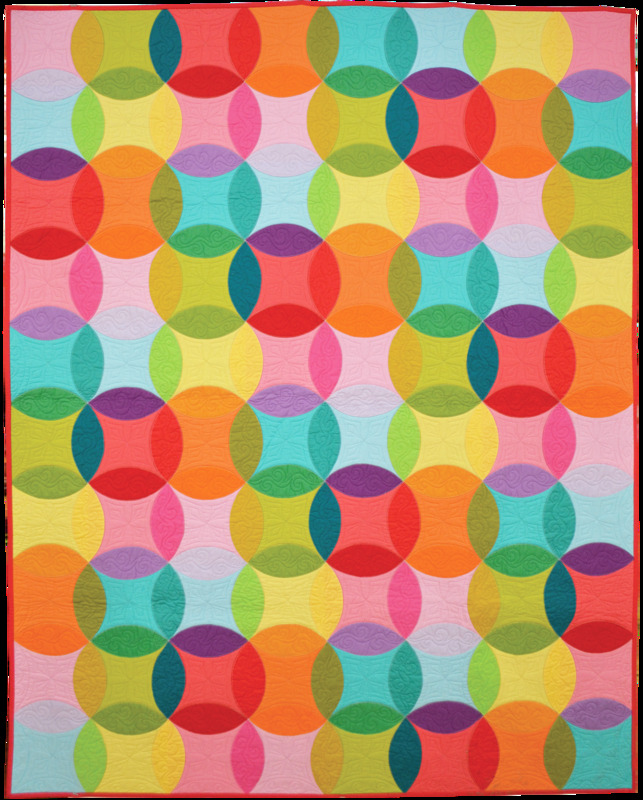 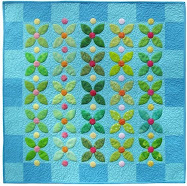 Last fall we talked about straight piecing patterns that appear to be curved, such as kaleidoscope and snail's trail. 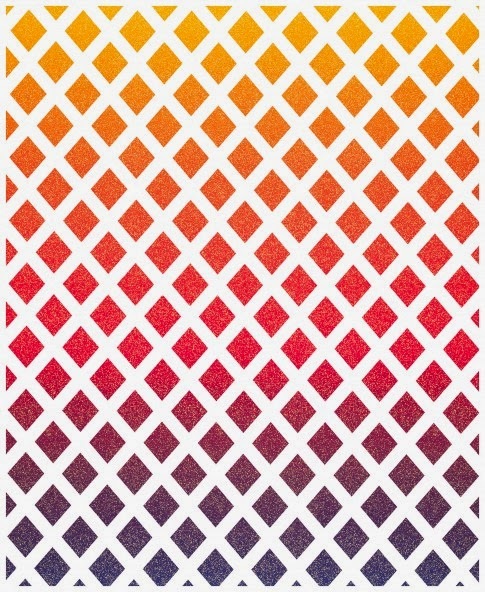 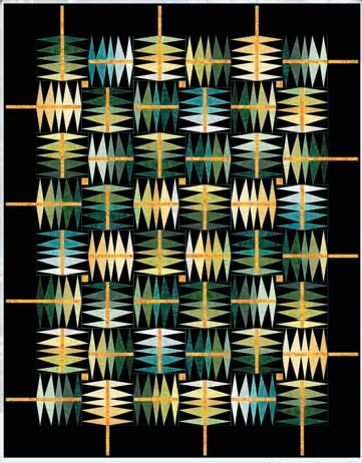 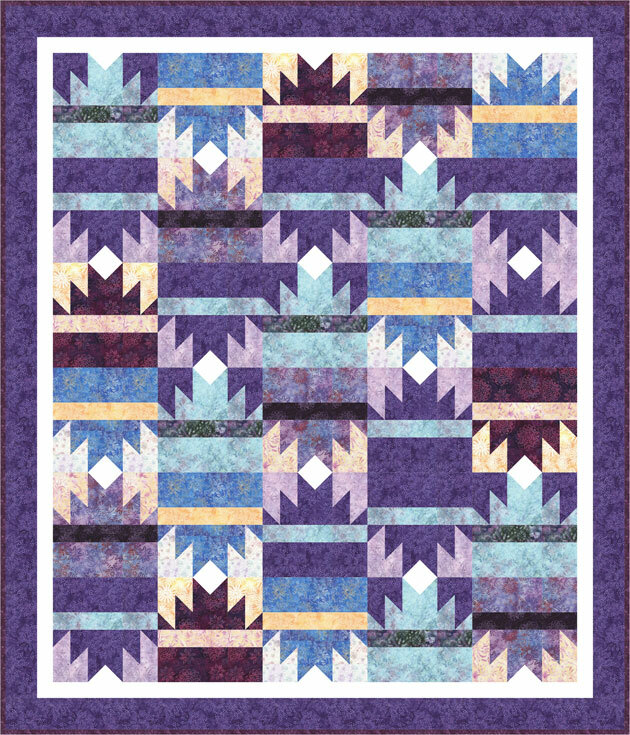 Storm at Sea is another great example of a pattern that uses small changes in straight angles to create an optical illusion of rounded corners. 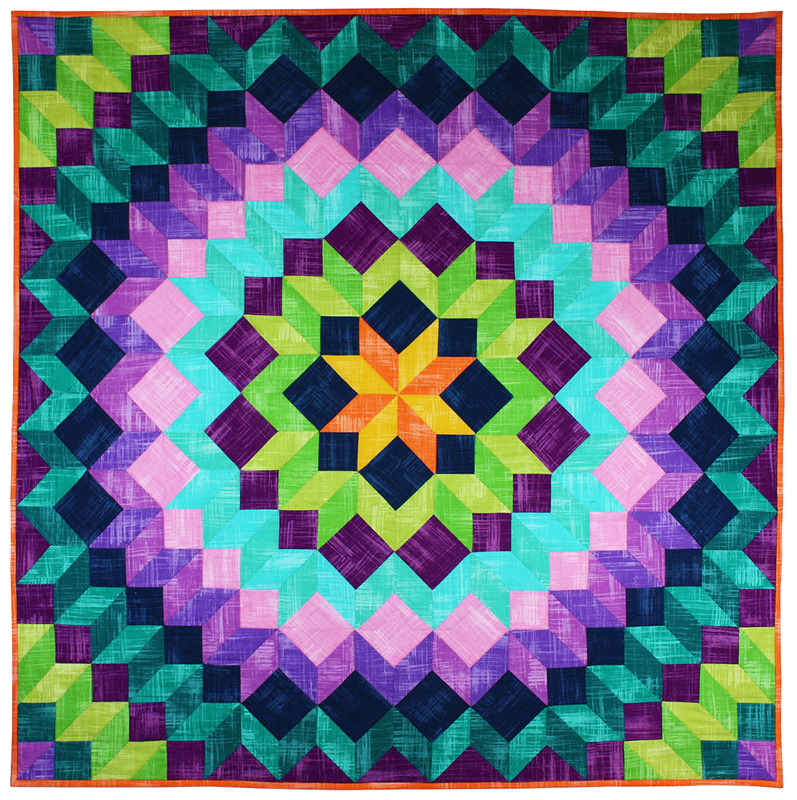 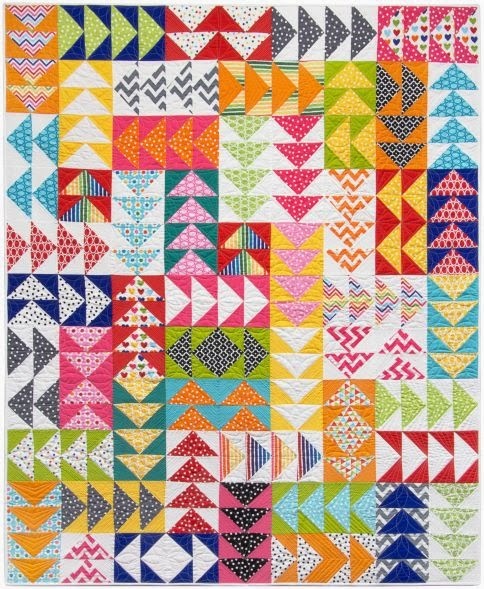 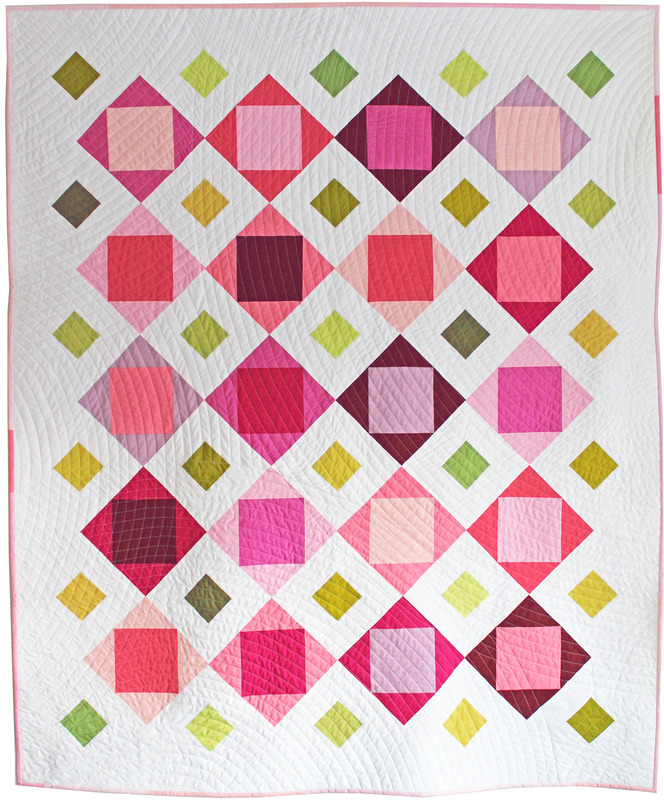 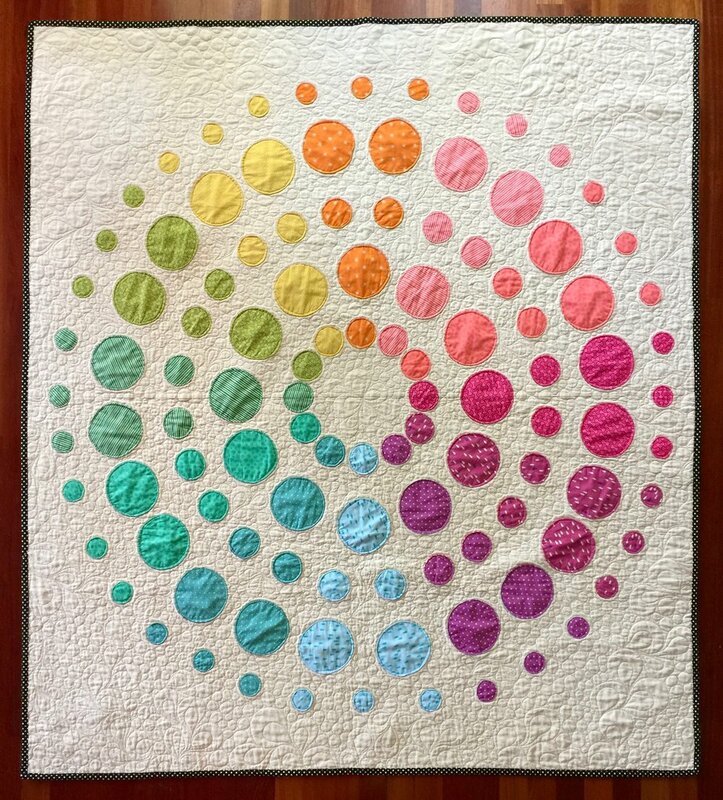 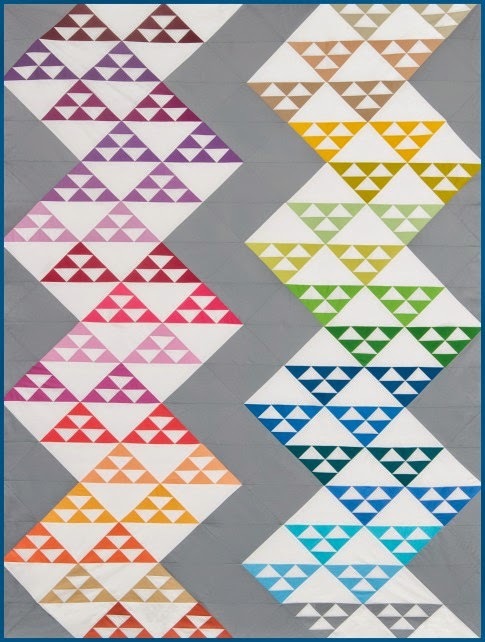 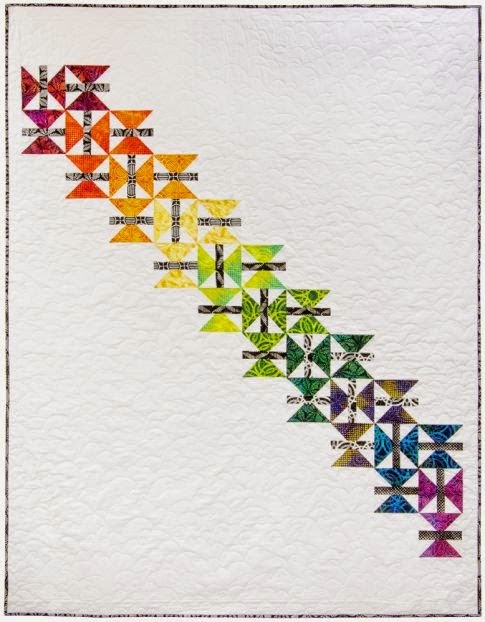 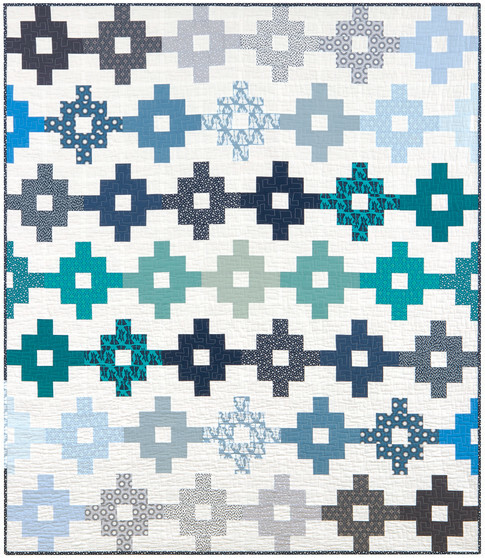 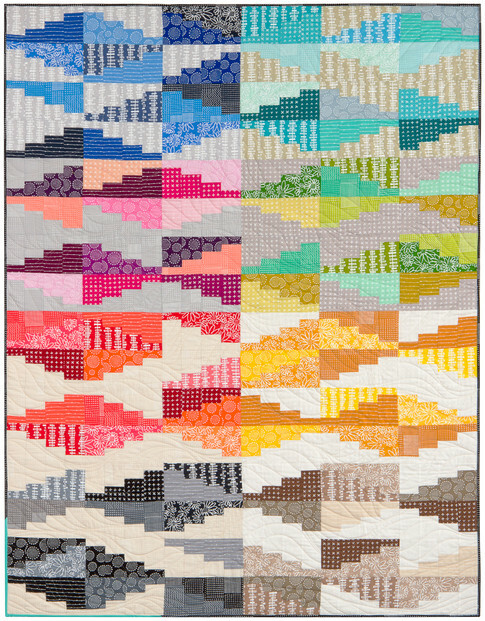 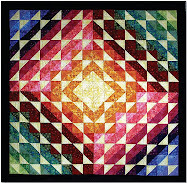 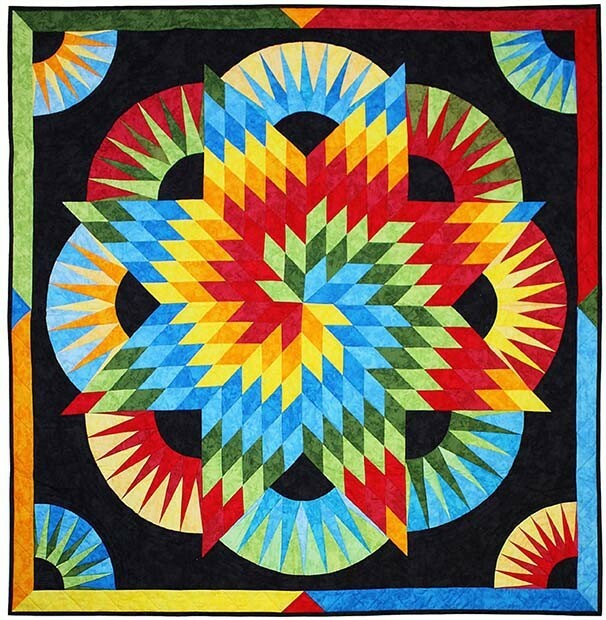 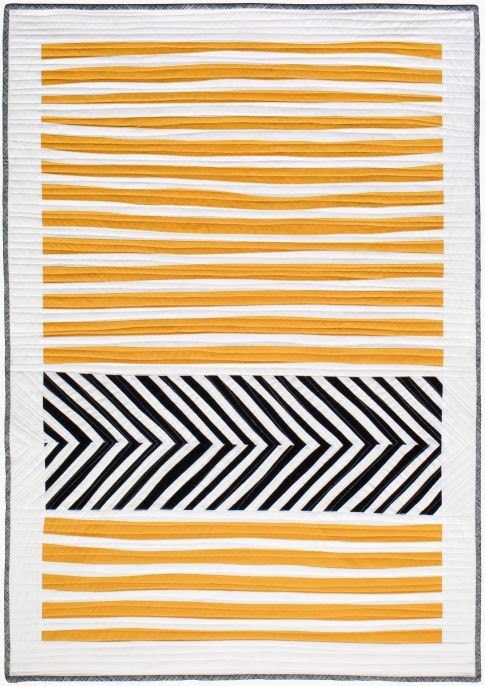 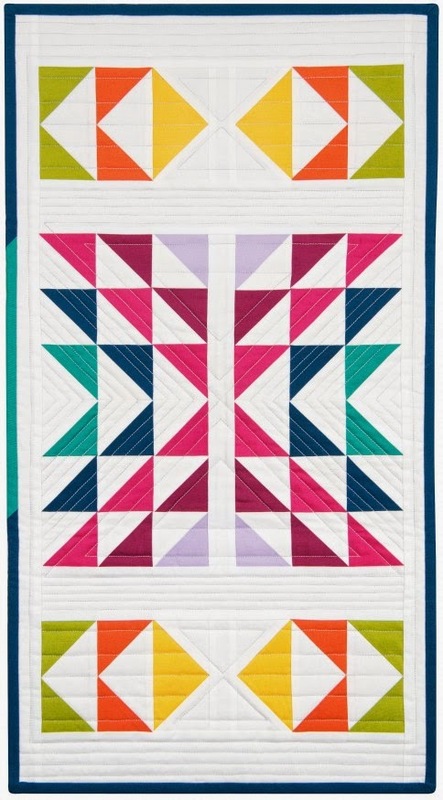 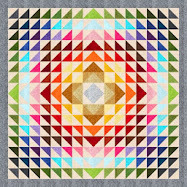 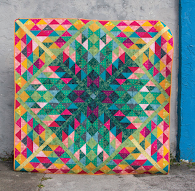 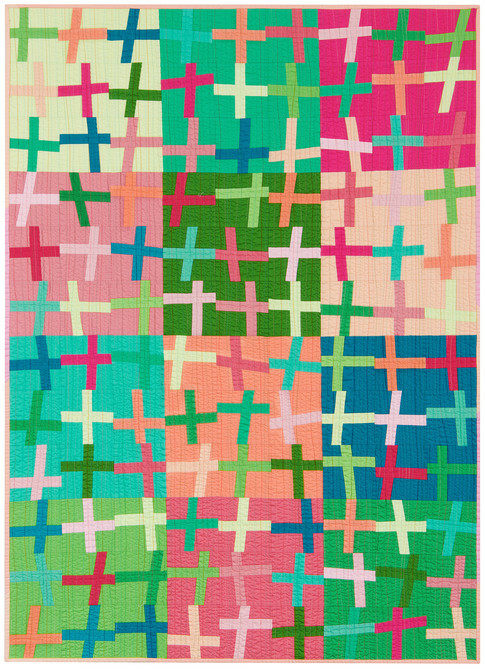 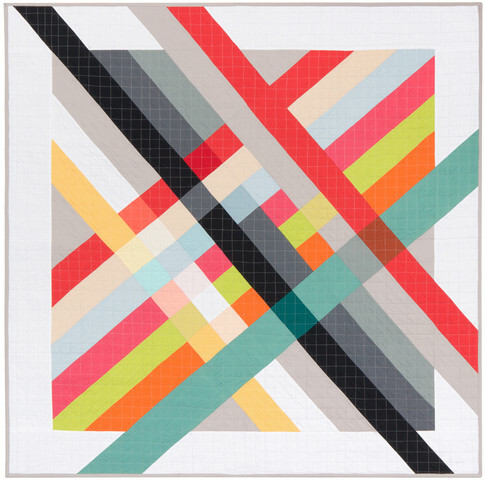 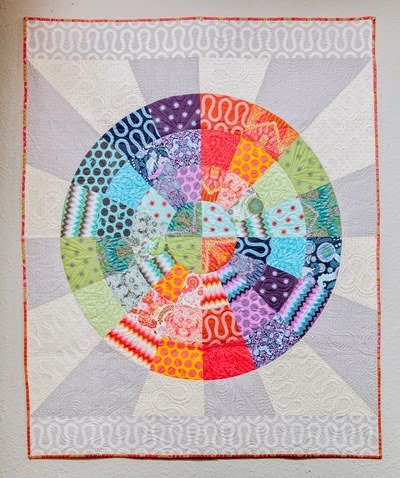 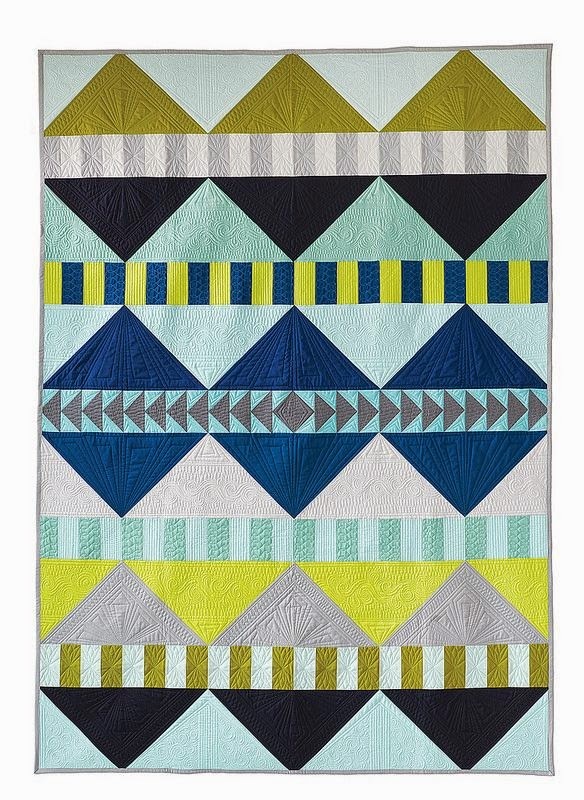 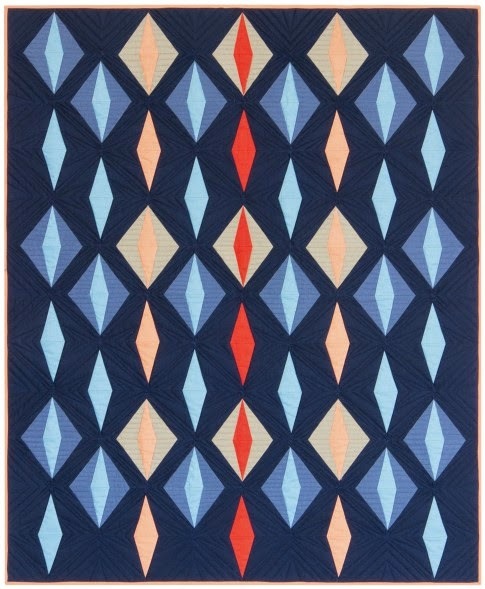 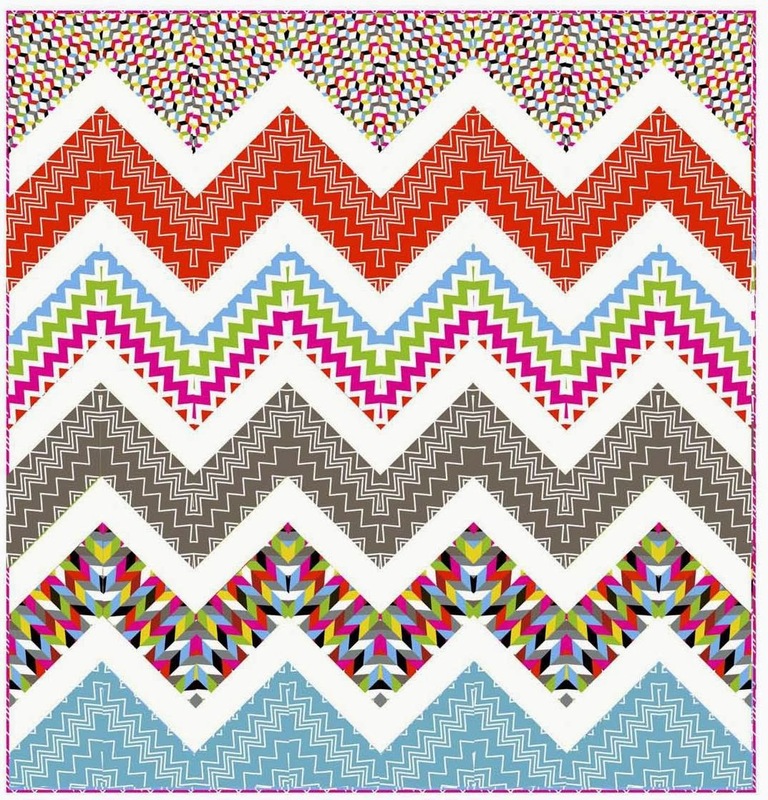 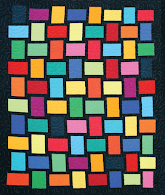 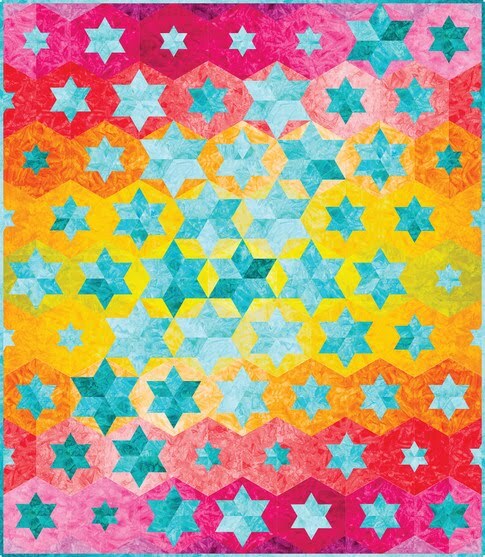 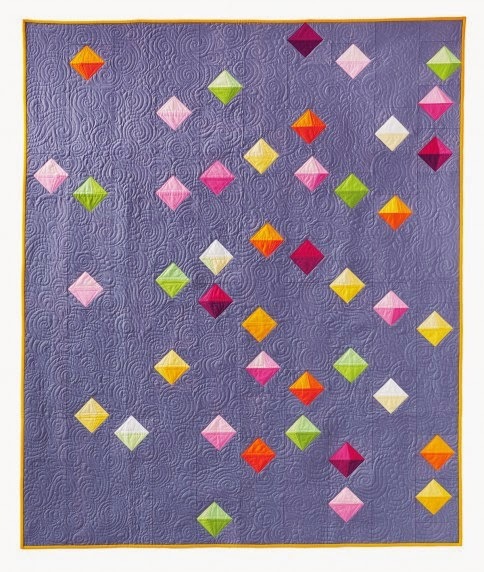 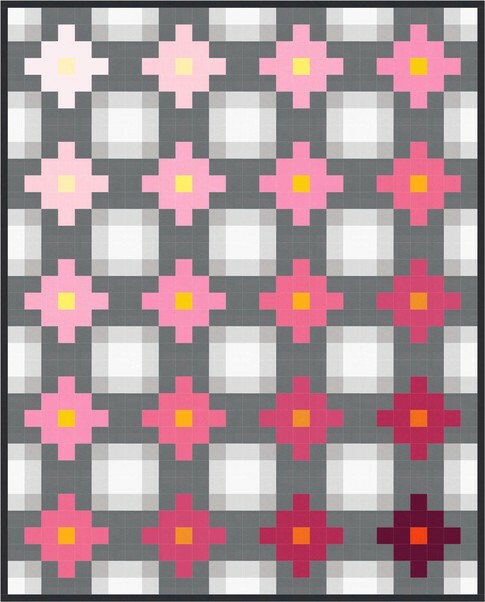 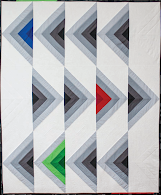 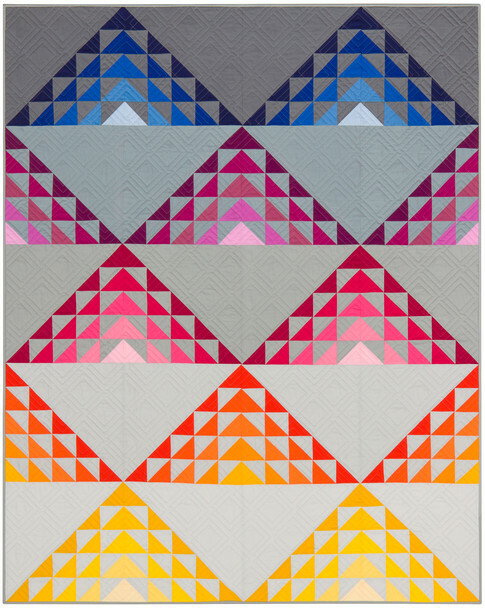 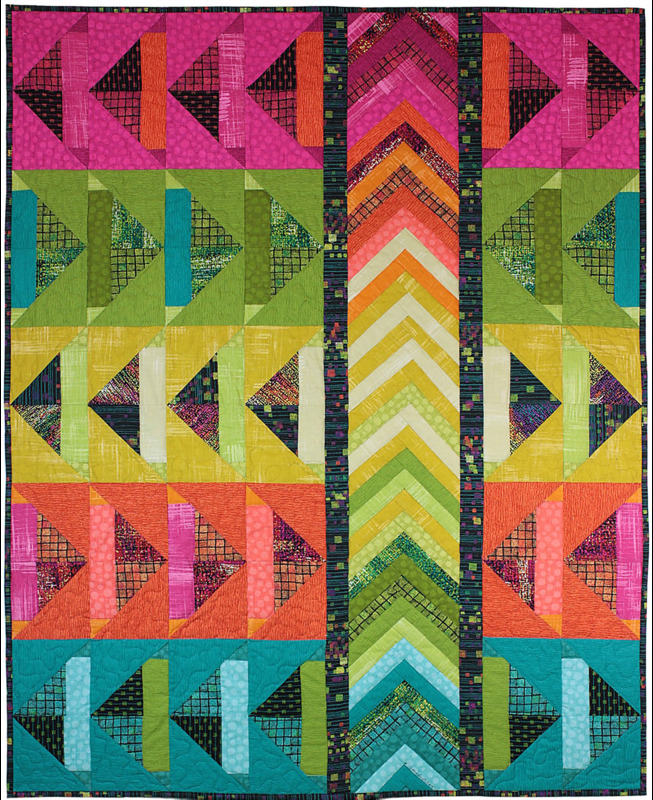 These quilts have a dynamic sense of motion, without any curved piecing ! 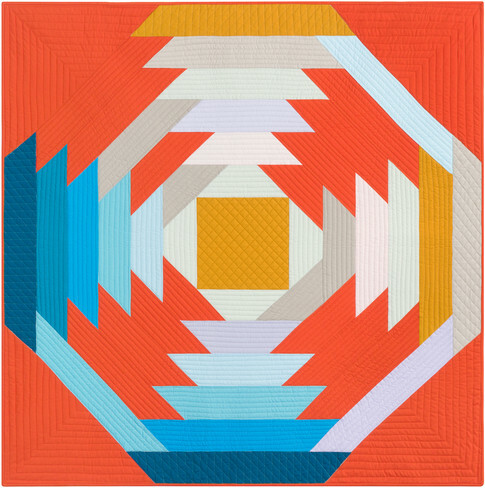 We've collected some stunning examples to show day-by-day. 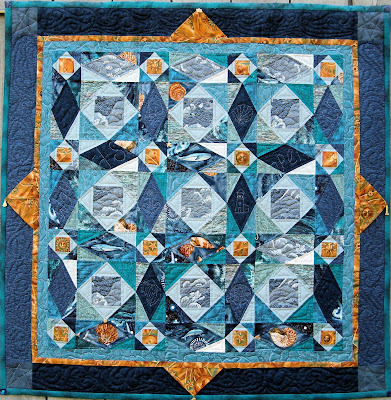 Based in Cape Cod, Massachusetts, on the shore of the Atlantic Ocean, Linda Peterson says that the influence of the seashore is never far away. 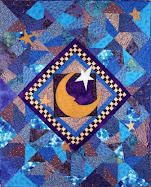 Linda hand-pieced and hand-quilted the magnificent Oceana, above. 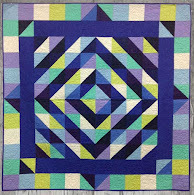 She has used a series of monochromatic blue tones, whose values enhance the illusion of arcs and circles. 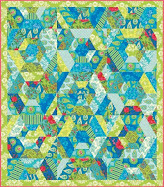 Upon looking closer, we were entranced by the sea-themed fabrics depicting whales and shells in the horizontal diamonds. 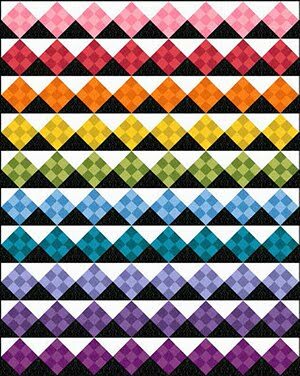 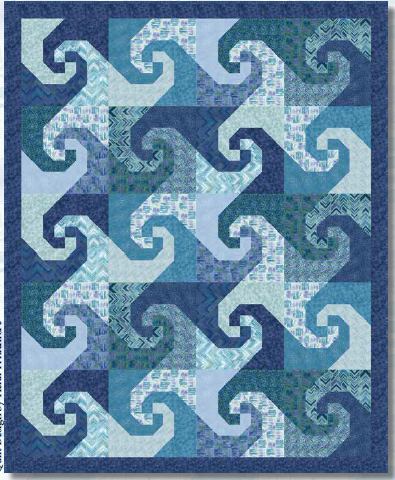 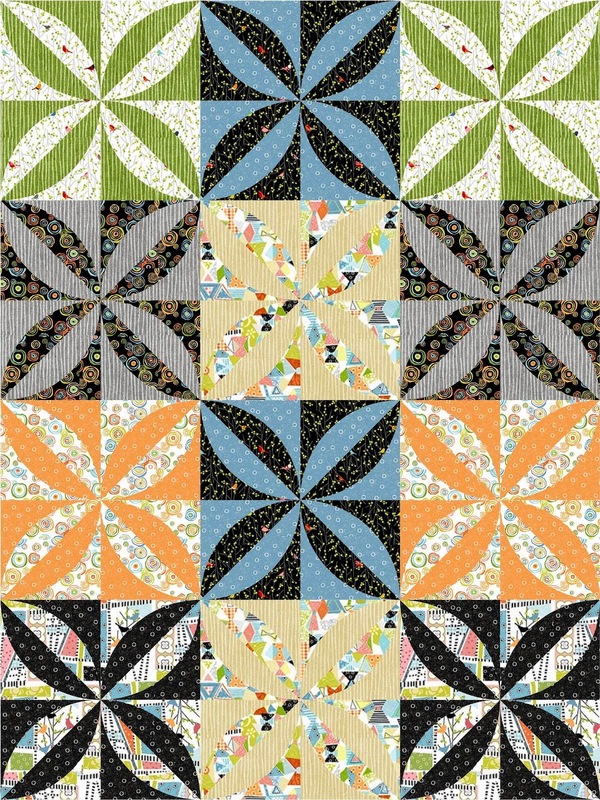 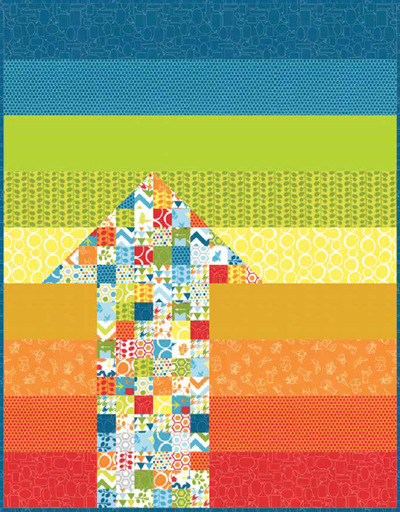 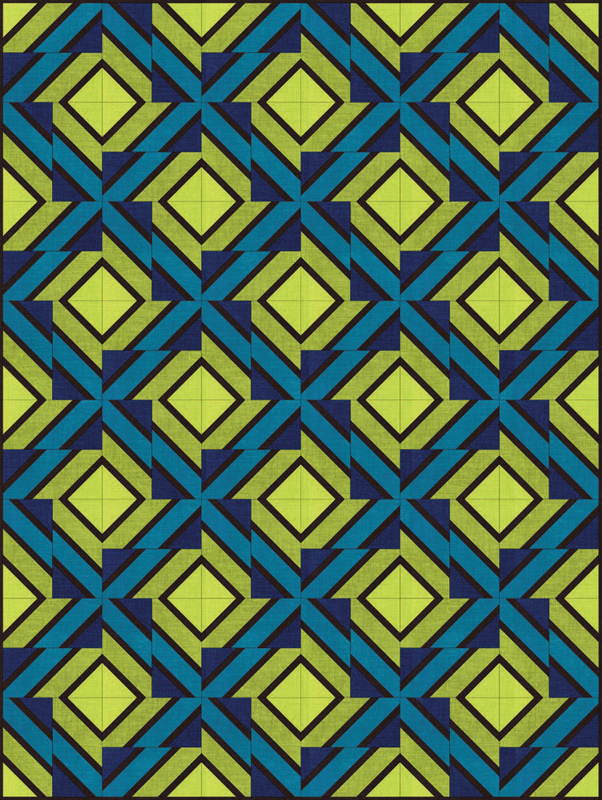 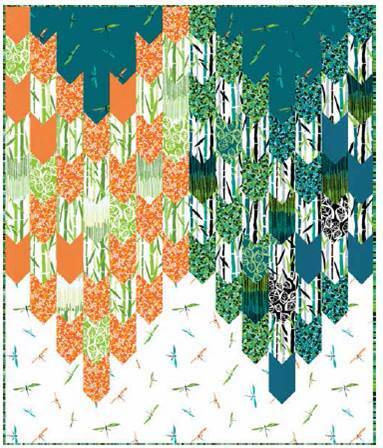 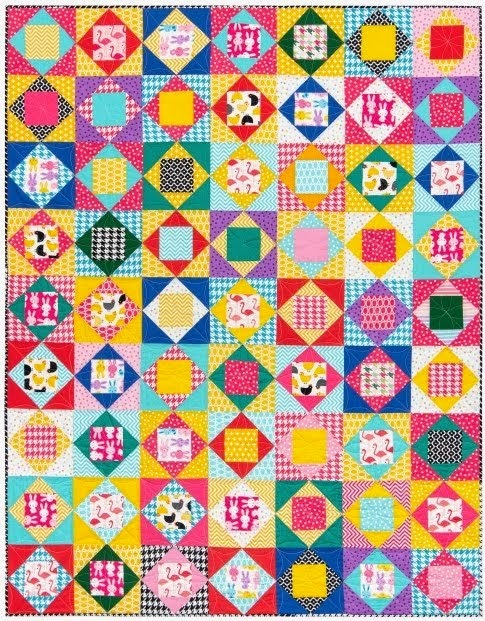 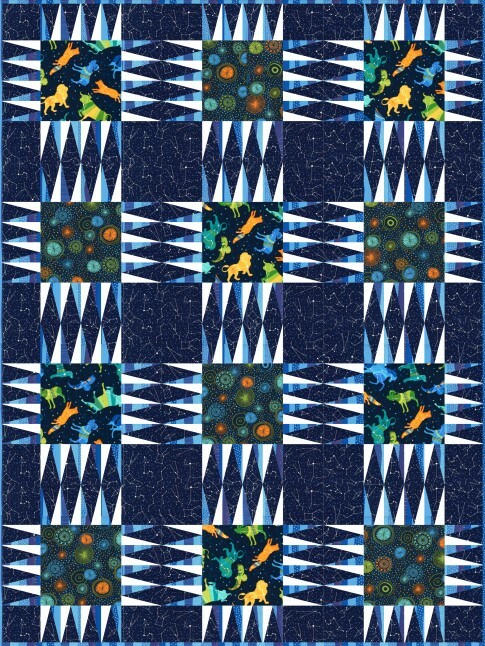 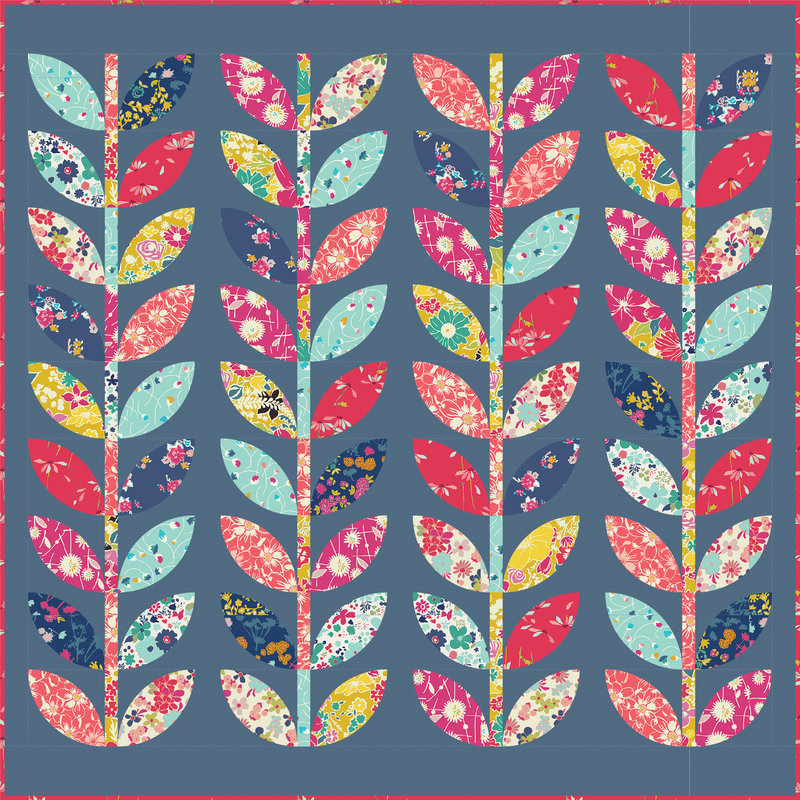 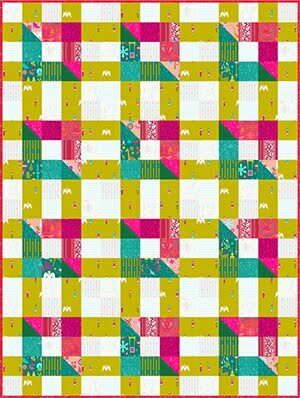 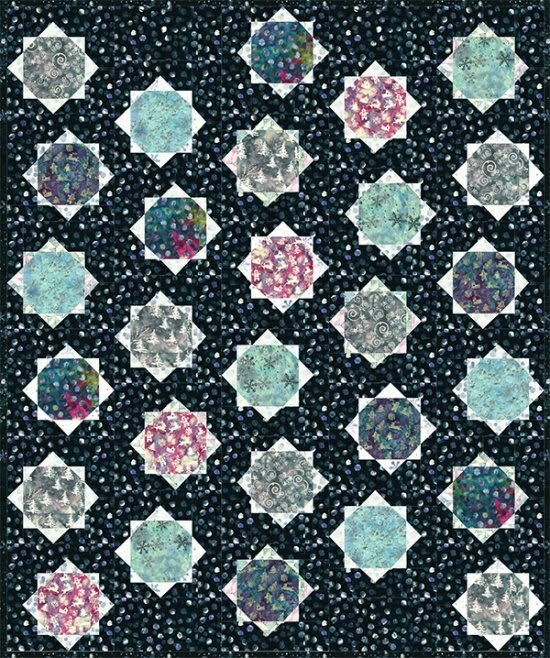 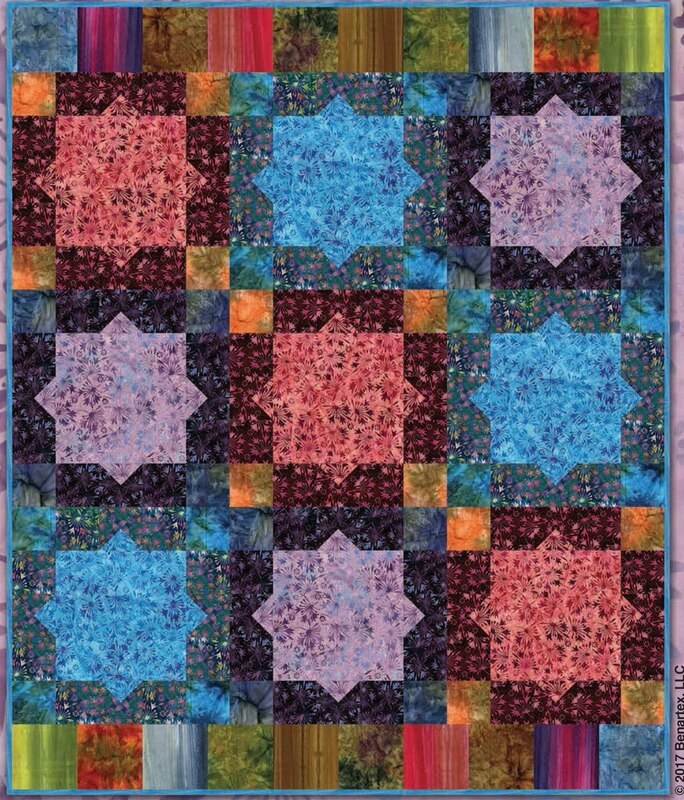 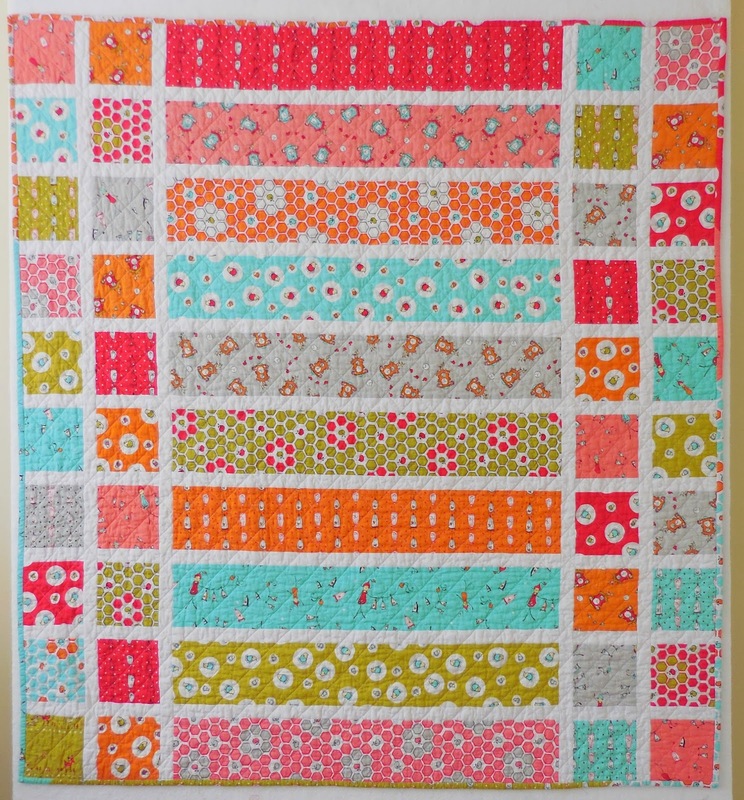 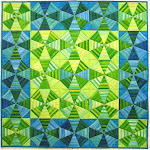 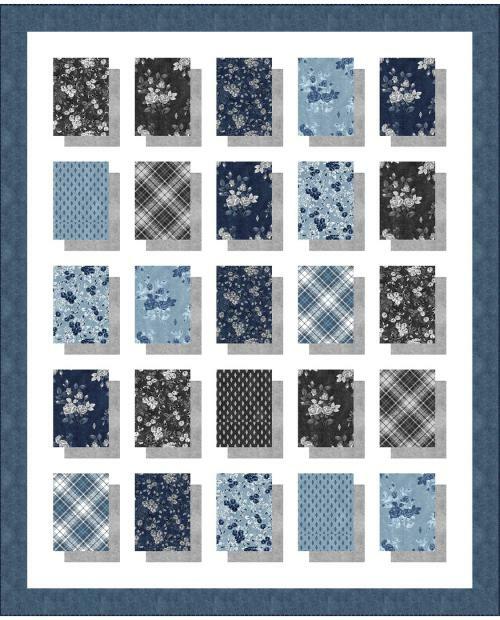 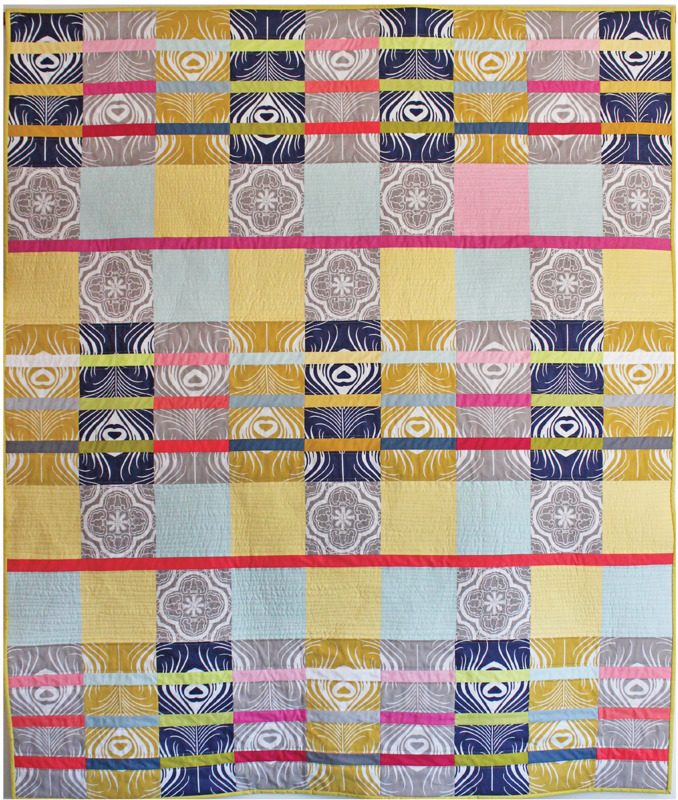 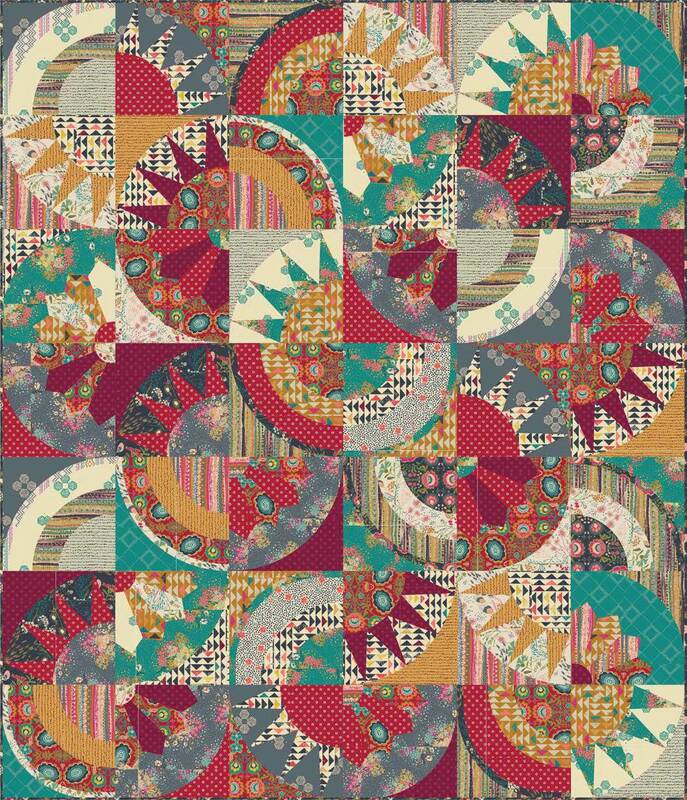 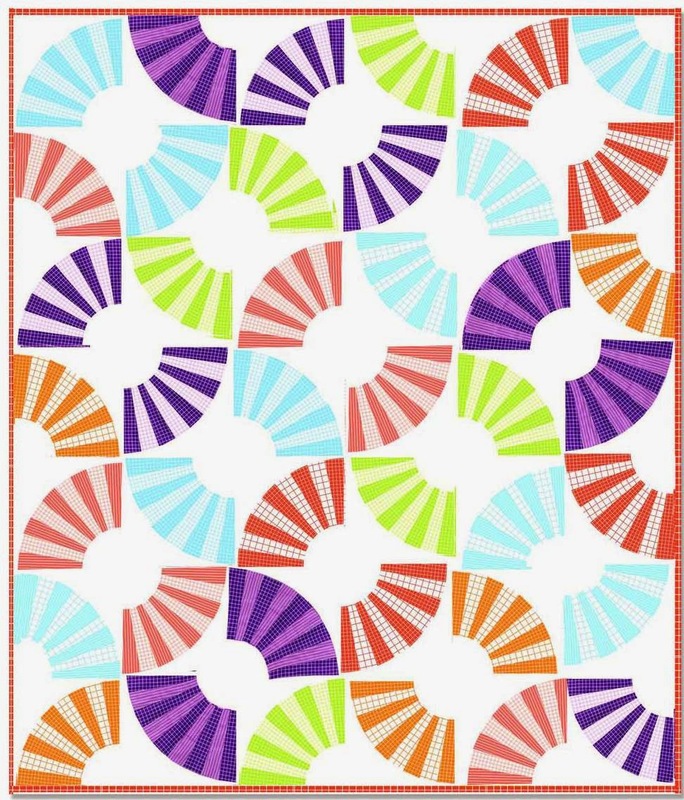 We also love the ocean waves fabric in the square centers of the blocks. 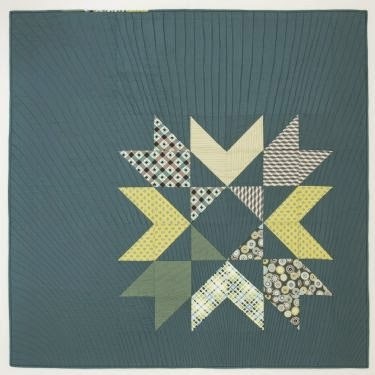 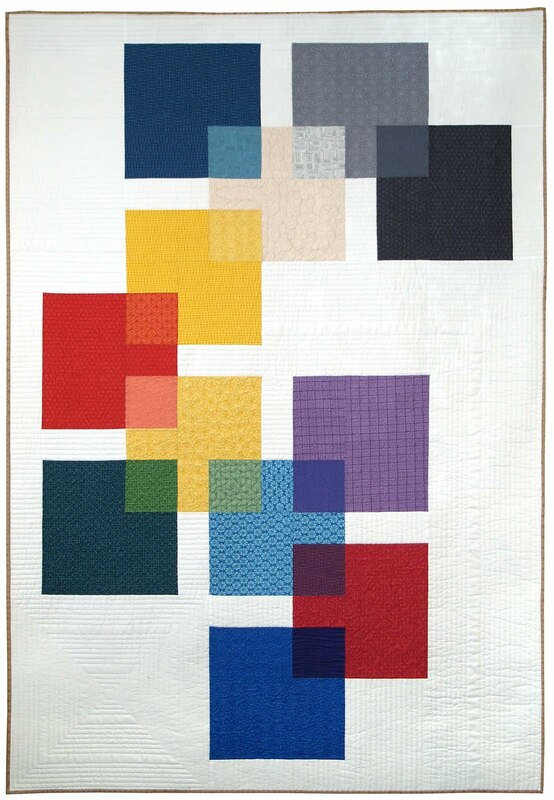 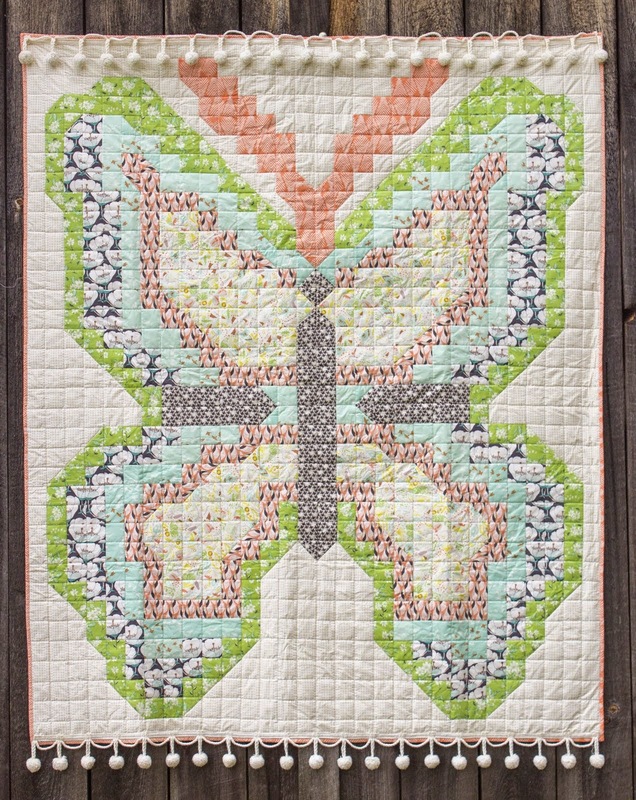 True to our namesake, we were fascinated to learn what inspired Linda to make this beautiful quilt. 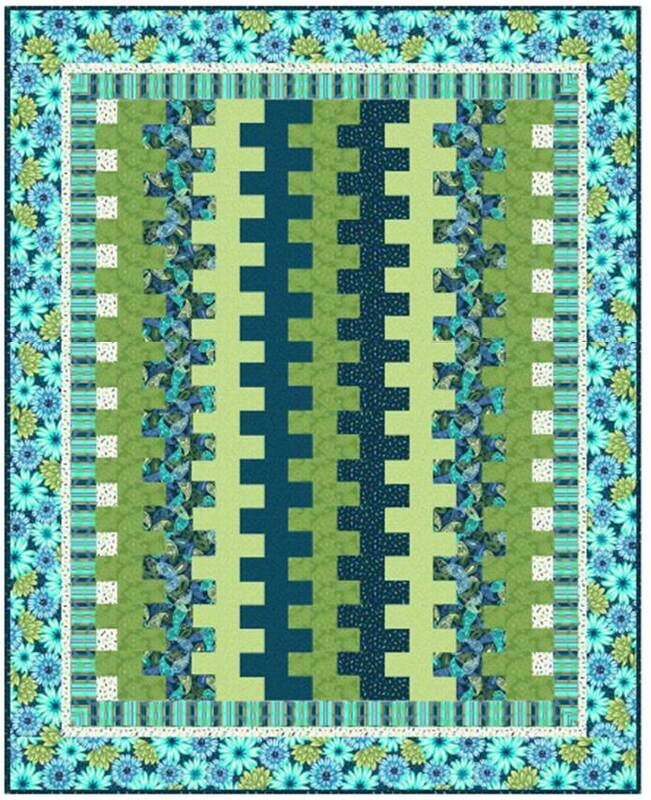 Linda wrote to us that she created Oceana for her oldest son, who was a commercial fisherman for many years and who endured many storms at sea. 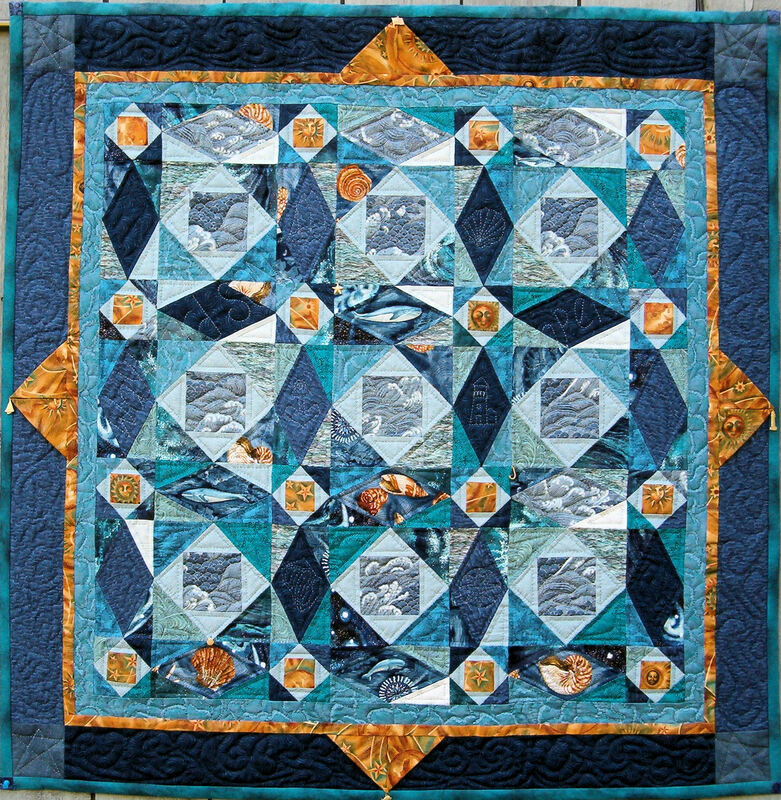 She says, "If you look closely - or click on the quilt image to expand it - on the left side running up through the middle wave, you can see quilted lettering 'Wayward Son', which was the name of my son's 49-foot fishing boat." 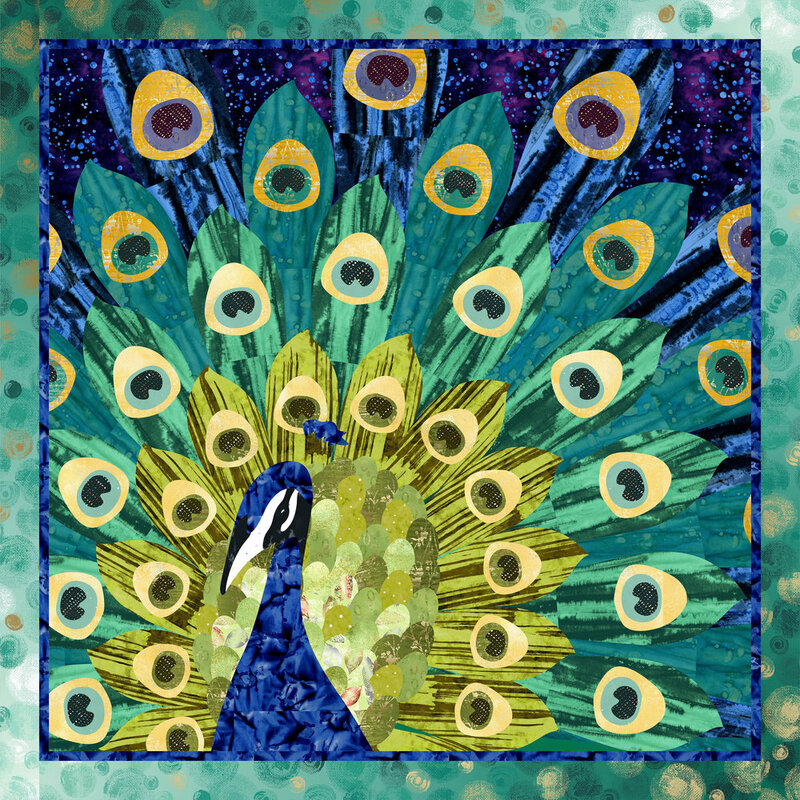 To learn more about Linda, a wonderfully talented fiber artist and painter, please visit her website, Cape Cod Art Studio. 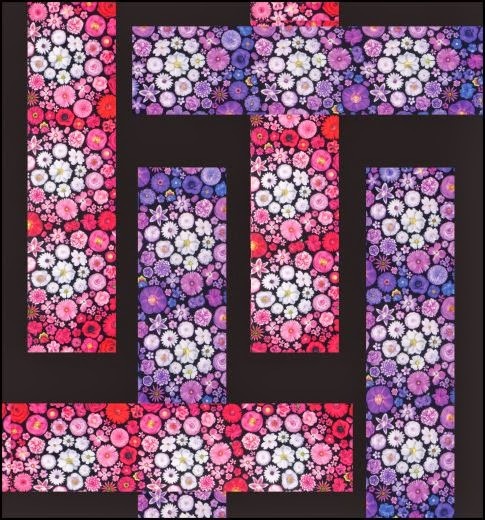 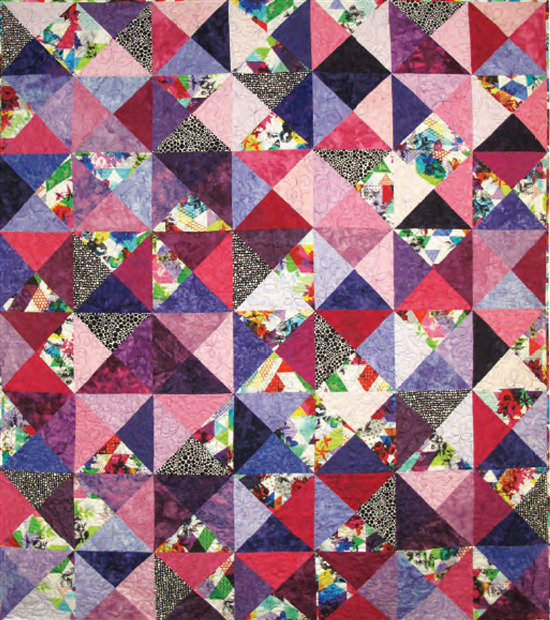 You'll see lovely images of her work including paintings and textiles for sale, read her discovery journal, and learn about her life in the world of quilting and art. 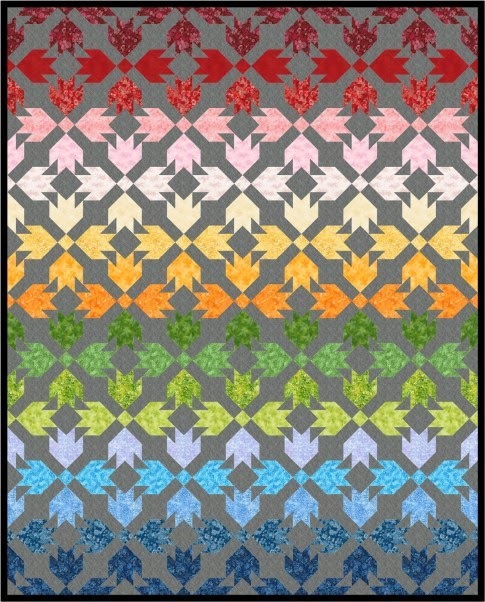 When I clicked on the image I could see so much more, nearly as good as actually being in front of it. 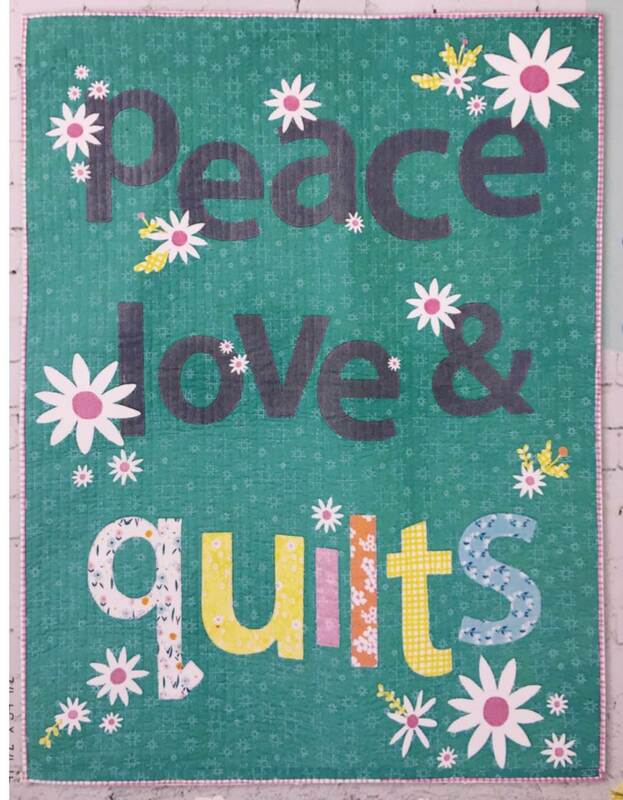 A lot of thought and hard work has gone in that quilt. 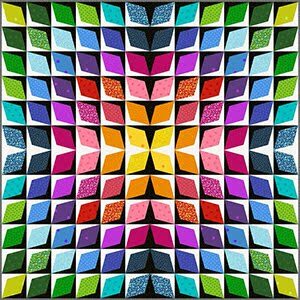 Magnífico trabajo y magnífica explicación.